In 2018, we made progress in repositioning our businesses for performance, taking strategic steps to align them with global trends and the overall direction of the market. 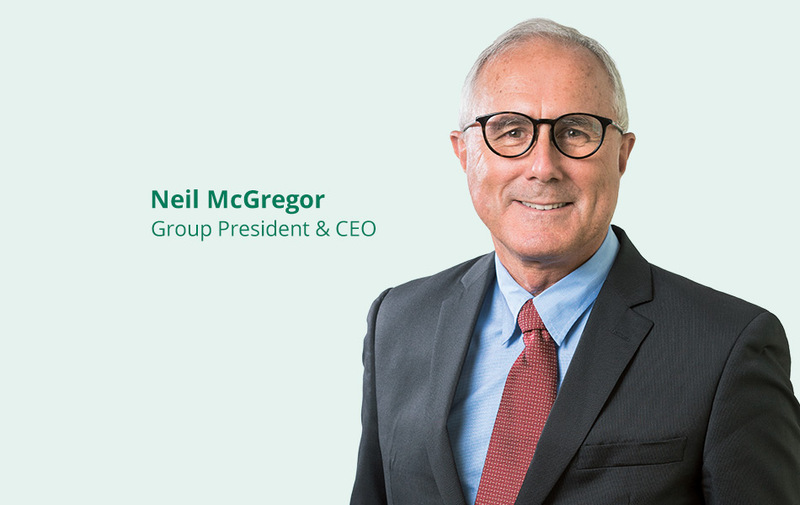 In February 2018, we announced a bold new strategy to reposition Sembcorp for success in a rapidly changing world. Our goal is a balanced and strong portfolio of businesses, aligned to the new realities of the market and the evolving demands of society, that will ultimately support sustainable development and create value for our stakeholders. To this end, we put in place an action plan to reshape our organisation with the right capabilities for the future, while working to strengthen our performance and balance sheet. Leveraging our strengths and embracing change, our ambition is to be an integrated energy and urban development company of the future and the region’s leading independent renewable energy company. We are now a year into our journey to reshape Sembcorp. Building competitive businesses that are attuned to industry trends and well-positioned to thrive amidst the global energy transition will take time. In the past year, we have made a good start. 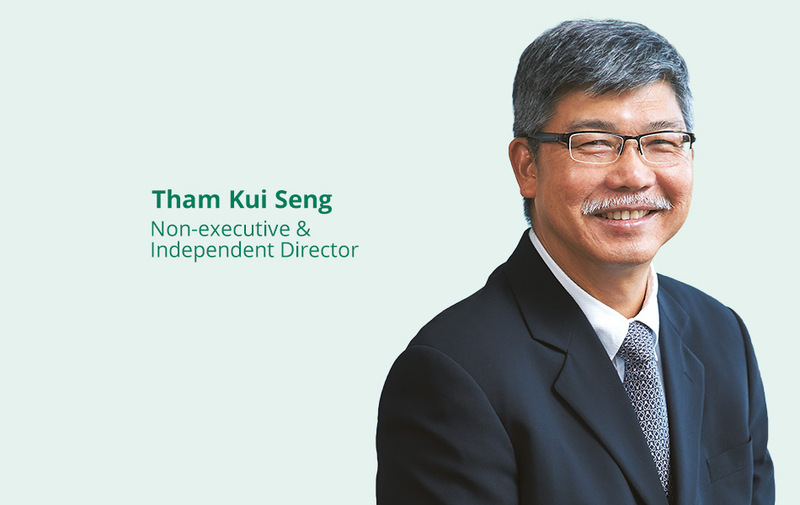 We deepened our bench strength and brought in new expertise to build a more competitive, more progressive Sembcorp. From growing our renewables business to entering the distributed energy market and strengthening our merchant and retail business, we expanded our capabilities to stay ahead of the curve and position ourselves for the future. At the same time, we explored potential synergies and combined business opportunities for our energy, marine and urban development businesses, such as in renewables and downstream gas supply. However, the road is not without its challenges. Our Marine business continues to face a difficult environment. Overall business volume and activity remain low, while competition continues to be intense. While we are confident that the Marine business is well-positioned for the market’s eventual recovery, we recognise that as a Group we will need to ride out this protracted sectoral downturn. In this context, the good performance of our two other engines, the Utilities and Urban Development businesses, is not only timely, but also a testament to our strength and resilience as a Group and to the robustness of our new strategic direction. As we continue to reposition our businesses, seize opportunities arising from an energy market in transition and support our Marine business through the down cycle, we recognise the need to strengthen our balance sheet. To this end, we maintain a disciplined approach to capital management, optimising our portfolio and undertaking systematic capital recycling. To date, we have completed a number of divestments of peripheral assets in Singapore, China, Oman and South Africa, unlocking cash proceeds of just under S$200 million. 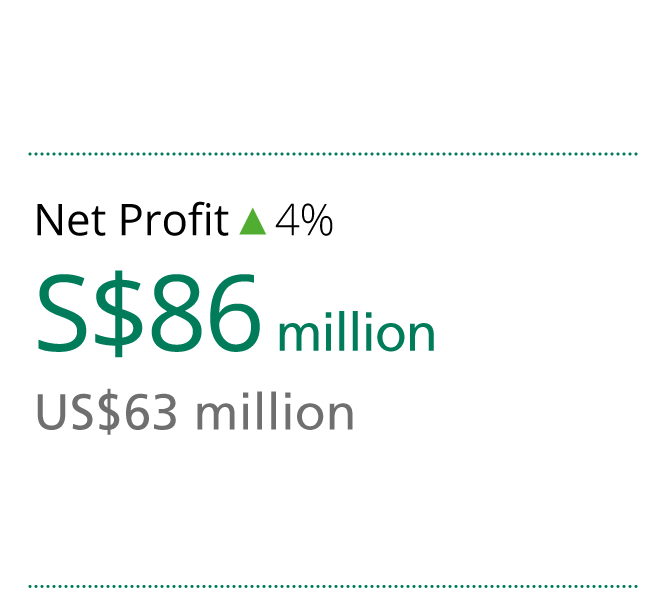 In 2018, the Group’s turnover was S$11.7 billion and net profit S$347 million, compared to S$9.0 billion and S$383 million respectively the preceding year. 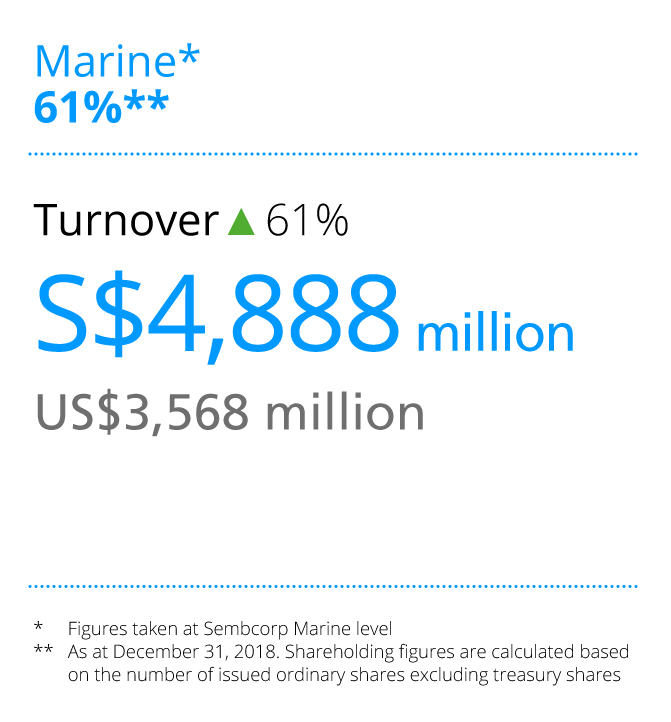 Amid difficult conditions for the offshore and marine industry, our Marine business turned in a loss of S$48 million to the Group in 2018. The impact of this on the Group was however mitigated by the good performance of our Utilities and Urban Development businesses. 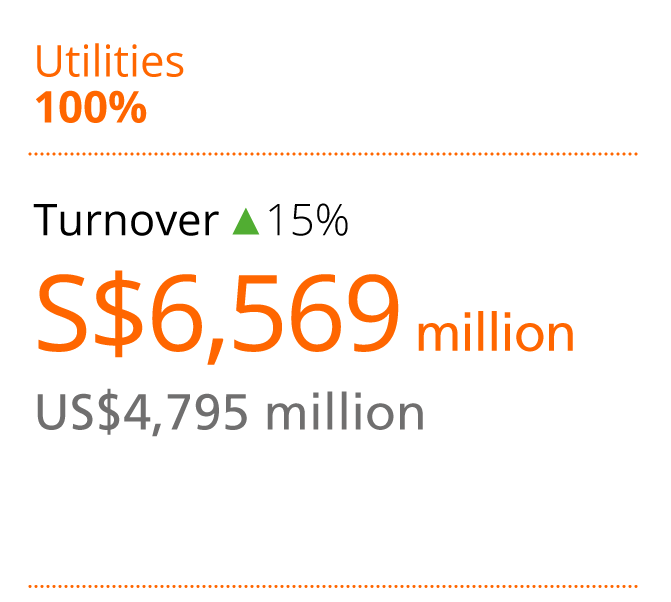 In 2018, our Utilities business more than doubled its net profit to S$312 million from S$140 million the previous year. 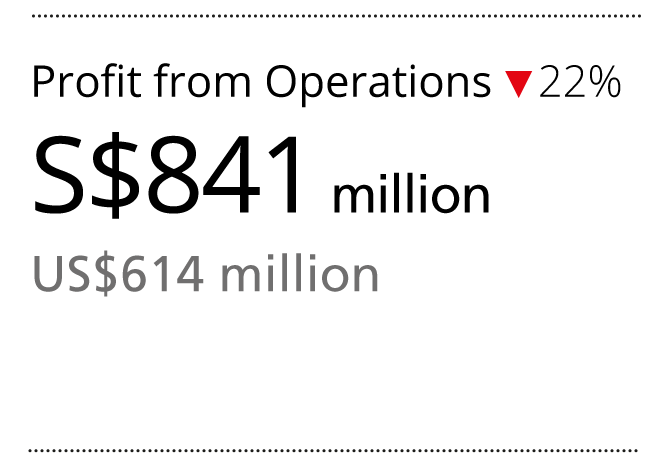 Excluding exceptional items, Utilities net profit grew 23% over the previous year. 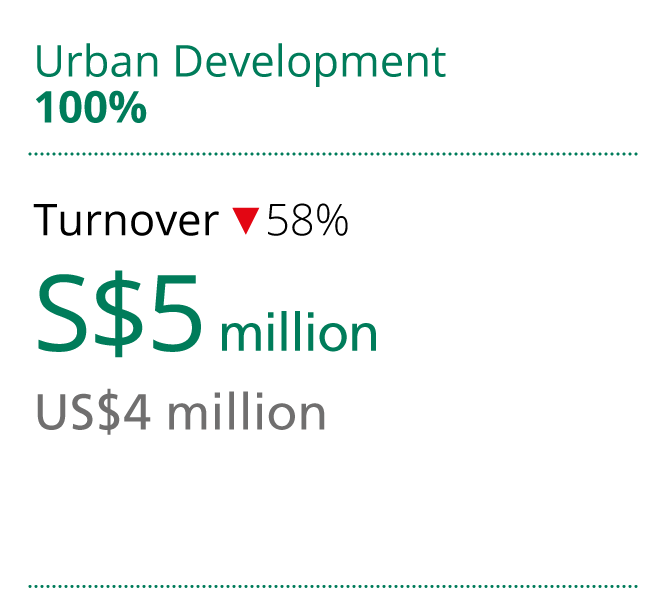 Meanwhile, our Urban Development business delivered a record net profit of S$86 million, delivering growth over its previous record net profit of S$83 million in 2017. 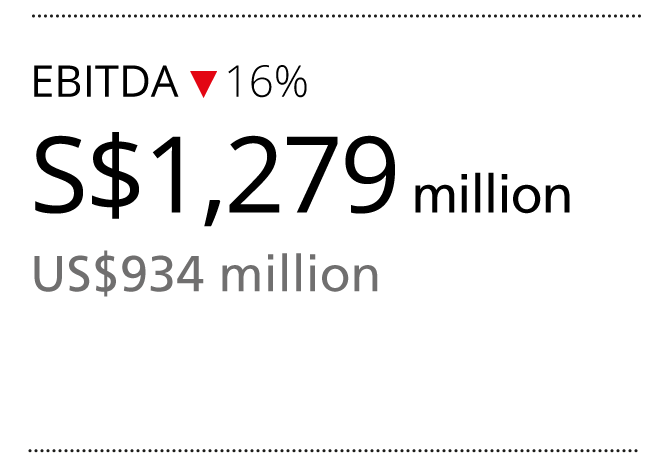 Group return on equity was 5.1%. For 2018, the board proposes a final dividend of 2.0 cents per ordinary share, subject to shareholders’ approval. Together with the interim dividend of 2.0 cents per ordinary share paid in August 2018, this brings our total dividend for the year to 4.0 cents per ordinary share. 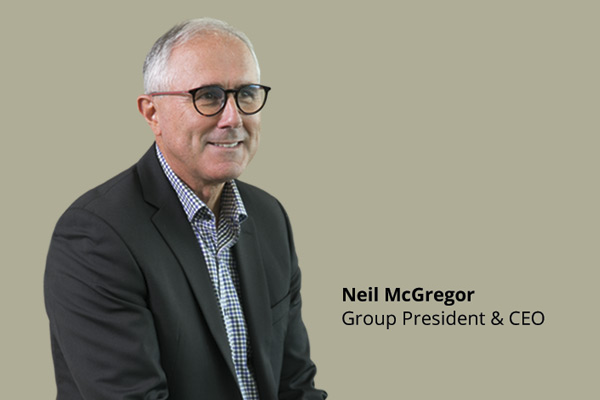 For more on the performance of the Group and our businesses in 2018, please click here. From competition and rising business costs to the impact of increased environmental regulation and potential interest rate hikes, companies today face evolving risks amid a volatile environment. Against the backdrop of developments such as Brexit and trade tensions between the US and China, many also see heightened uncertainty in the policy and regulatory environment, and the potential for ripple effects across global markets. With the protracted Marine downturn, the good performance of our two other engines, Utilities and Urban Development, is not only timely, but also a testament to our strength and resilience as a Group and to the robustness of our new strategic direction. Profound shifts are underway in the energy industry. The growth of renewables has disrupted the conventional utility systems of past decades. Policy frameworks are moving to discourage less environmentally friendly means of generation, and low-carbon energy is increasingly entering the mainstream. At the same time, market liberalisation is bringing about greater competition. Technology is also transforming the industry, from generation and asset management to retail, customer interface and delivery. The task at hand for us is to navigate and embrace these currents of change, and reshape the future of Sembcorp. In doing so, we want to protect the value that has been built up over the years in our company and brand, seize opportunities that arise and position ourselves as a leader in tomorrow’s energy space. In these efforts, we are guided by three strategic priorities. Firstly, we will manage our portfolio for performance. We will ensure disciplined capital allocation and systematic capital recycling to strengthen our balance sheet, while actively managing and optimising our assets. Our performance will also be underpinned by strong business models in each of our businesses that are customer-centric, technology-enabled and that offer long-term growth opportunities. Secondly, we will prioritise sustainability, doing our part to help secure the future of our world, participating in the low-carbon and circular economy, and embedding responsible business practices in our organisation. Thirdly, we will focus on building a dynamic organisation with the right capabilities, culture and values to support our growth. In our Utilities business, we deepened our presence and strengthened our integrated energy platforms in key markets. We also built up our capabilities to maintain our market leadership and sharpen our competitive edge. For a summary of our strategic priorities and the progress achieved towards them in 2018, please click here. In our Utilities business, we deepened our presence and strengthened our integrated energy platforms in key markets. We also built up our capabilities to maintain our market leadership and sharpen our competitive edge. In Singapore, we extended our gas business to include liquefied natural gas imports under the government’s newly introduced Spot Import Policy. In line with our strategy to move our business closer to our customers, we entered the country’s recently-launched Open Electricity Market as a power retailer. We also made strides in expanding our solar power and renewable energy solutions in the country. In India, we improved returns at our thermal energy business and achieved a significant milestone in enhancing our performance with a turnaround to profitability. A key achievement was our second thermal power plant in the country securing power purchase agreements for the supply of 250 megawatts to Bangladesh for a total of 15 years. We also grew our renewables portfolio in India by 300 megawatts and consolidated our thermal and renewable energy businesses in the country to be owned through a single entity, Sembcorp Energy India Limited. Meanwhile, as part of our efforts to build future-ready capabilities, we acquired UK Power Reserve (UKPR), the UK’s largest flexible distributed energy generator. UKPR’s highly responsive energy solutions include fast-ramping power and energy storage. These help to support a renewable future for the country by bridging supply gaps between intermittent renewables generation and conventional centralised thermal generation. With this acquisition, we have transformed our UK business from a centralised utilities play on a single industrial site, into a nationwide business with a mix of capabilities and technologies that are highly relevant in today’s market. On the Marine front, efforts continued to retool and shift the business’ portfolio and capabilities to diversify its products and services across the offshore, marine and energy value chain amid a quiet market for drilling solutions. Our Marine business is positioning itself for the future with its state-of-the-art Tuas Boulevard Yard, where enhanced capabilities offer greater optimisation, efficiency and safety and the ability to serve new customer segments. The business has also invested in new technologies such as floating cylindrical units for offshore application, and entered the market for renewable energy engineering projects. On the Urban Development front, we have built on our strong brand name and market positions to pursue adjacencies and offer new business models such as specialised business hubs and smart developments. With the business’ proven track record in catalysing investment, job creation and economic growth, its performance will continue to be underpinned by its healthy orderbook and land bank. In addition, the growing demand for smart developments that are energy and resource efficient may also present greater opportunities to offer greener integrated energy and utilities offerings within our urban development projects. For more on the outlook for our businesses and how we are positioning them for the future, please click here. Today, growing recognition of the reality of climate change and increasing pressure on finite resources has underscored the importance of sustainable development, and the urgency for us to take meaningful steps to secure our collective future. Around the world, this momentum is reshaping government policy, disrupting industry and commerce, and even determining the choices we make as individuals. The growing demand for smart developments that are energy and resource efficient may present greater opportunities to offer greener integrated energy and utilities offerings within our urban development projects. Sembcorp firmly believes that we must be part of the solution. Our purpose is to not only do well, but also do good. We aim to play our part in creating a sustainable future, delivering energy and innovative solutions that support development and create value for stakeholders and communities. We have three clear ambitions: to enable a low-carbon and circular economy, to empower our people and communities, as well as to embed responsible business practices in our everyday operations and conduct as a company. Sembcorp’s purpose is to not only do well, but also do good. In March 2018 Sembcorp launched our Climate Change Strategy, guided by the recommendations of the Financial Stability Board’s Task Force on Climate-related Financial Disclosures. This sets out our approach to managing the risks and opportunities arising from climate change and the low-carbon transition, and lays out substantive targets to reduce emissions intensity and grow renewables capacity. Our ambitions and goals are aligned with our commitment to furthering the United Nations’ Sustainable Development Goals. By meeting the needs of society while managing our material environmental, social and governance risks and opportunities, it is our firm belief that we will succeed as a business and achieve our purpose in supporting development and creating value. As part of stepping up our commitment to sustainability, we are actively investing in low-carbon businesses and growing our renewables portfolio. In 2018, we grew our global renewables portfolio in operation and under development by around 20% to 2,600 megawatts. In India, we emerged as the largest cumulative winner in the first three nationwide wind power auctions conducted by the Solar Energy Corporation of India, with 800 megawatts secured. In 2018, we further cemented our reputation and credibility as a green energy player when we became the first company to deliver installed capacity awarded under these auctions. In Singapore, we grew to become a leading solar power player, with more than 120 megawatt peak of rooftop solar projects across over 1,500 sites. This includes rooftop solar capacity won under a 50 megawatt peak tender from the Housing & Development Board and the Singapore Economic Development Board. It also includes new projects to develop, own and operate rooftop solar farms for commercial and industrial clients. In addition, in 2018 Sembcorp became Facebook’s first renewable energy partner in Asia, with a 20-year clean energy deal to support its upcoming data centre and other operations in Singapore. As our world moves towards renewables and lower-carbon energy, leading businesses are increasingly demanding solutions that enable them to achieve growth while managing their impact on the environment. Our deal with Facebook is an example of how Sembcorp is actively helping these like-minded companies meet this dual objective. For more on sustainability at Sembcorp, please click here. 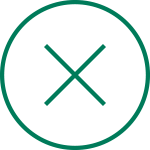 As a company, we recognise that technology and digital platforms can be powerful differentiators. We aim to drive business performance through innovation, R&D and deployment of advanced technologies. Around the world, digitalisation is disrupting and transforming almost every sector and fundamentally changing the way we live, work and operate. As a company, we recognise that technology and digital platforms can be powerful differentiators. 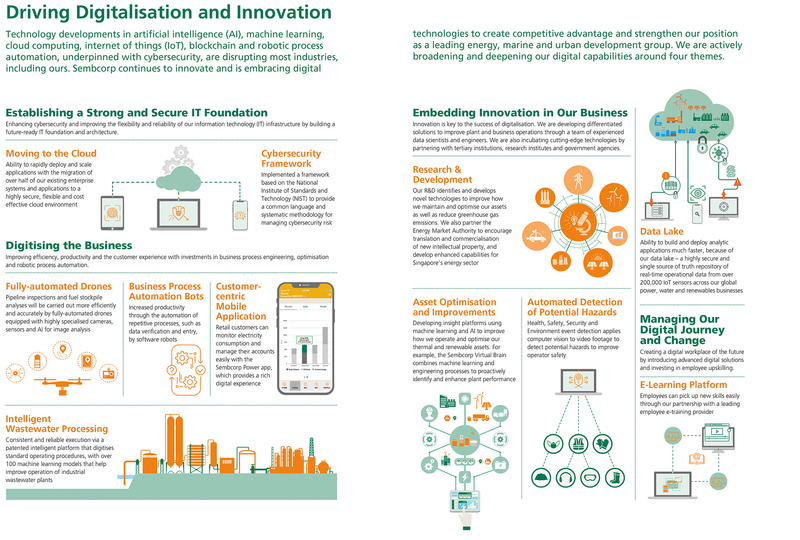 In 2018 Sembcorp established a new Digital & Technology team, with a mandate to drive business performance through innovation, research and development (R&D), and deployment of advanced technologies. Our aim is to broaden and deepen our digital capabilities around four themes: establishing a strong and secure information technology foundation, digitising our business, embedding innovation, and managing the digital journey and change. Beyond the company, we are collaborating on R&D with government agencies, research institutes, technology providers and institutes of higher learning. For instance, in 2018 we announced a S$10 million extension to our joint fund with Singapore’s Energy Market Authority (EMA) in support of R&D for the country’s energy and utilities sector, as well as another collaboration with EMA to explore applying energy storage in Singapore. Enabled by a wide range of technology, from cloud computing and robotic process automation to artificial intelligence, Sembcorp’s digitalisation initiatives have received the support of the Singapore Economic Development Board. For more on digitalisation and technology at Sembcorp, please click here. We fully recognise that the execution of our strategy and our future success rests on having a dynamic organisation that is agile and competitive, and supported by the right people and capabilities. In 2018, we reorganised our company to better drive a strong presence in key markets and grow our business lines. We also focused on succession planning, deepening leadership bench strength and bringing on board new expertise in areas targeted for accelerated development. The evolving global business environment is complex to navigate. We are more aware than ever of the need to maintain strong discipline and governance, effective oversight and rigorous risk management. In addition to strengthening our legal, compliance and risk management capabilities, we also continue to review and enhance our governance systems and processes. As we rally our global team around Sembcorp’s new goals and direction, we aim to unite them around Sembcorp’s shared values. Our priority is to encourage a culture that is not only high-performing, but also centred on integrity and responsible business practices, including safety. In 2018, we maintained efforts to promote strong ownership of workplace health and safety with the launch of a behaviour-based safety programme. Through our continuous efforts, during the year we halved our annual lost time injury rate for subsidiaries within our reporting scope. While we have made progress, the journey is never over. With great regret, we report that in 2018 there was one fatality due to a contractor accident at one of the company’s sites in India. We are deeply saddened by this incident. A thorough review has been carried out, following which additional safeguards have been implemented to minimise risks. We will strive to ensure that employees and contractors maintain safe work practices and also encourage other companies within our sphere of influence to do the same. 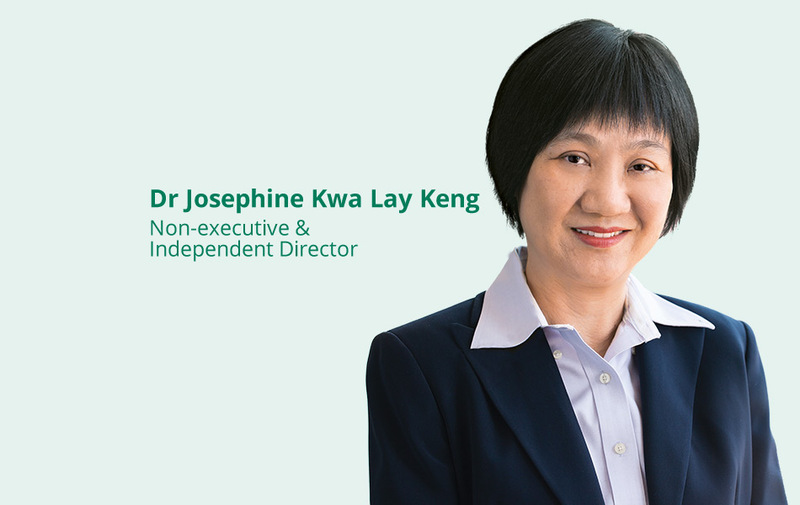 On behalf of the board, we would like to extend a warm welcome to Dr Josephine Kwa Lay Keng, who joined us as an independent director on August 1, 2018. 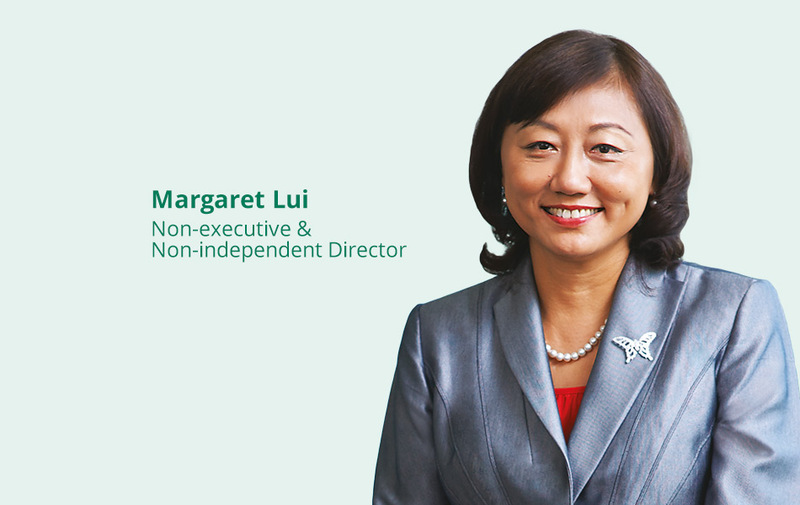 As the former CEO of NSL, who also served as its chief operating officer and head of technology in the course of her career, Dr Kwa has rich experience in technology as well as R&D across various industries, including energy and engineering. She has lent us the benefit of her expertise on our Technology Advisory Panel for a number of years, and it gives us great pleasure to now welcome her as the newest addition to the board. Embracing change and taking decisive action, we are confident of a bright future for Sembcorp, as a Group that delivers lasting value to stakeholders for years to come. 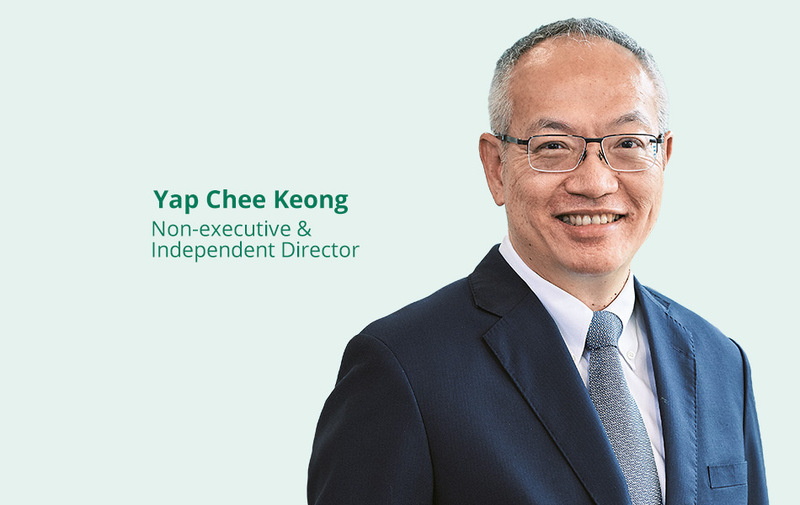 Guided by a clear strategy and driven by the passion and dedication of our people, your board and management are determined to stay the course and transform Sembcorp. Embracing change and taking decisive action, we are confident of a bright future for Sembcorp, as a Group that delivers lasting value to stakeholders for years to come. 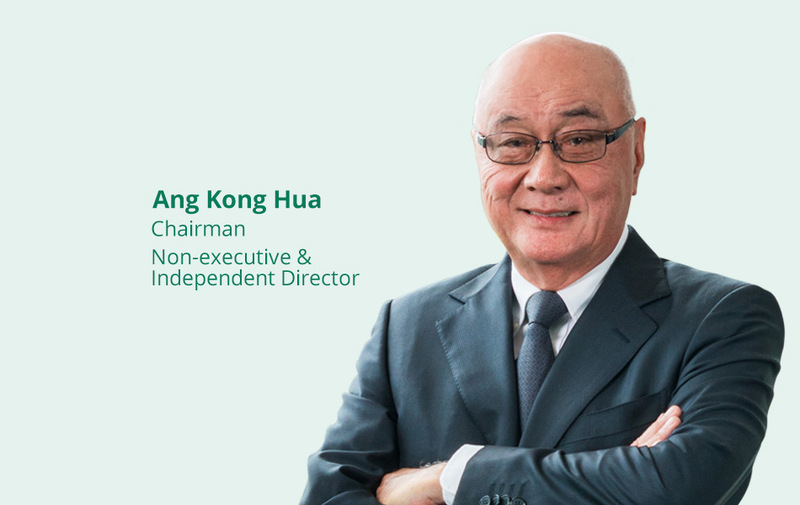 Since you took over as head of the Sembcorp Group, how has the Group transformed? What are your top priorities as CEO? 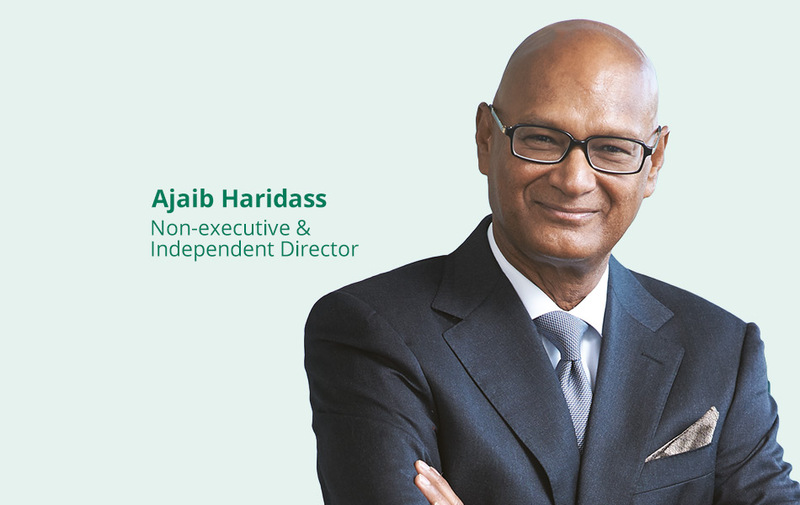 As CEO, my biggest task is to reposition Sembcorp for the future. My goal is to reshape the Group and build a strong, balanced portfolio of businesses that are aligned with market trends and society’s demands, support sustainable development and deliver value for our stakeholders. We have outlined our vision to become an integrated energy and urban development company of the future, as well as the region’s leading independent renewable energy company. 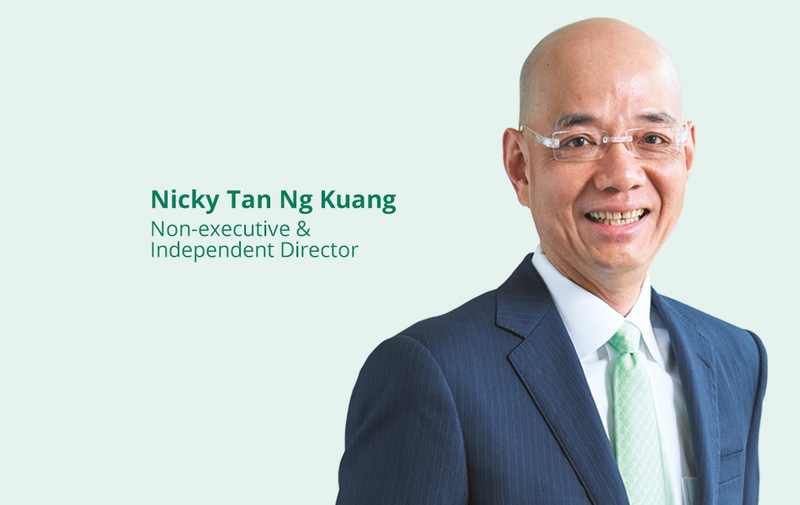 A year into the announcement of Sembcorp’s new Group direction, our strategies have taken shape. However, they will take time to bear fruit, especially given the prolonged offshore and marine downturn. In the immediate term, my focus continues to be on managing our portfolio for better performance and returns as well as strengthening our balance sheet. We will maintain a disciplined approach to capital management and push on with our divestment programme to recycle capital. 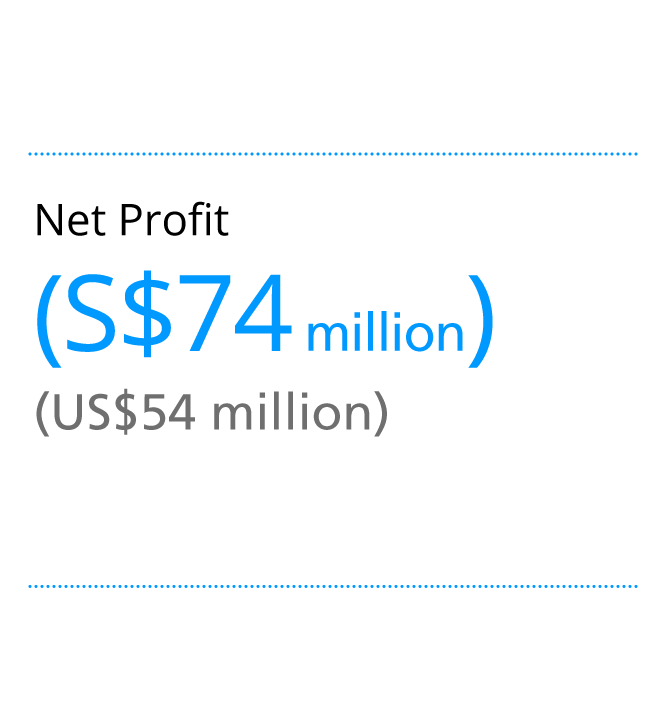 To date, we have unlocked cash proceeds of just under S$200 million. 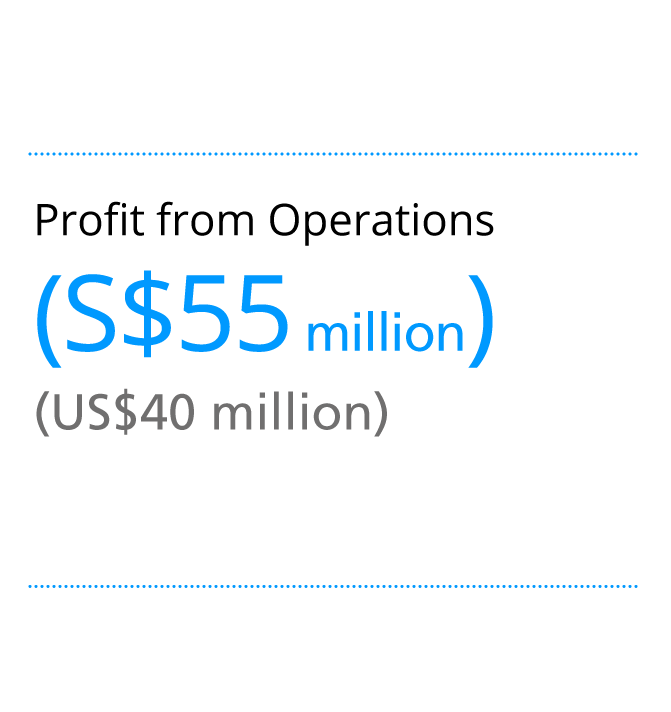 This is close to 40% of the S$500 million of divestments that we target by 2020. Internally, our transformation is also well underway. We have brought in new capabilities that Sembcorp needs for the future, such as stronger digital as well as merchant and retail capabilities. 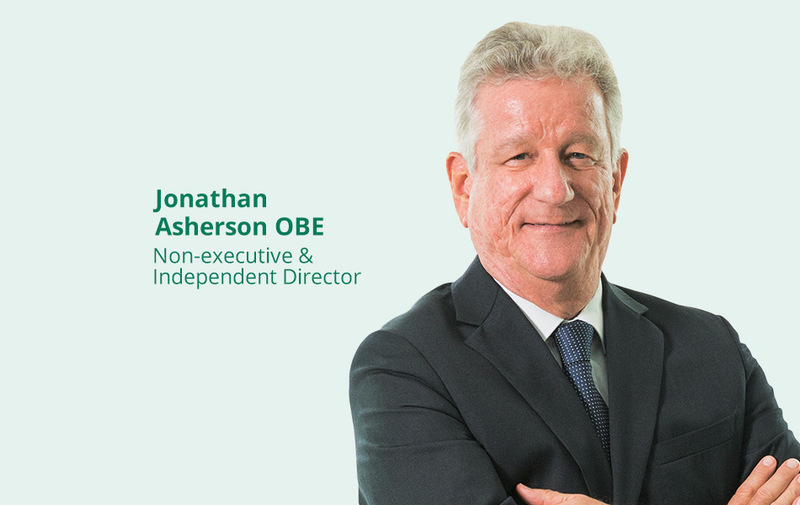 We have reorganised our team and operating model for greater flexibility, deepened our bench strength and improved succession planning within the Group. As a company, we have also renewed our purpose and values and made concerted efforts to rally our employees around our shared objectives. Our people are energised, ready for the challenge, and committed to turn our vision into reality. 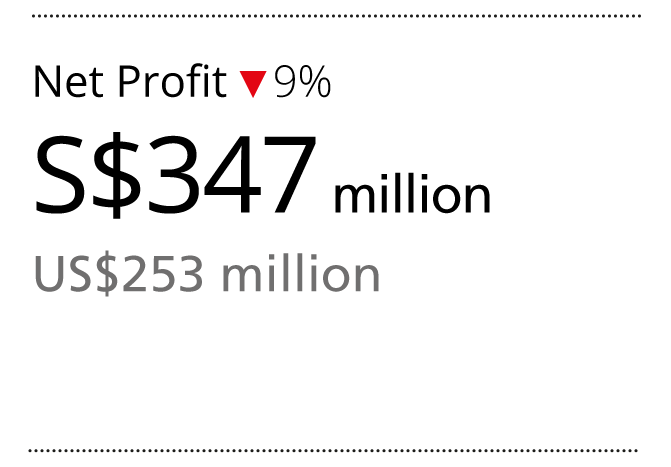 Your Utilities business performed well this year. Tell us more about its efforts to adapt and thrive amid a global energy industry in transition, and how its plan is bearing fruit. Decarbonisation, decentralisation, digitalisation and demand disruption have made an indelible mark on the energy sector. The global fuel mix is shifting, with green energy becoming mainstream. Power is being generated and delivered to customers in new ways, and advancements in technology and the falling cost of renewables are changing the face of the industry. Against this backdrop, Sembcorp’s plan to reposition our Utilities business is timely, and absolutely critical to the success of the Group. We aim to develop the business into a leading integrated energy player, focused on the Gas & Power, Renewables & Environment, and Merchant & Retail energy segments. In doing so, we will capitalise on existing capabilities within the business, and build on our deep integration expertise across the energy and utilities value chain. Already, our strategy is showing results. 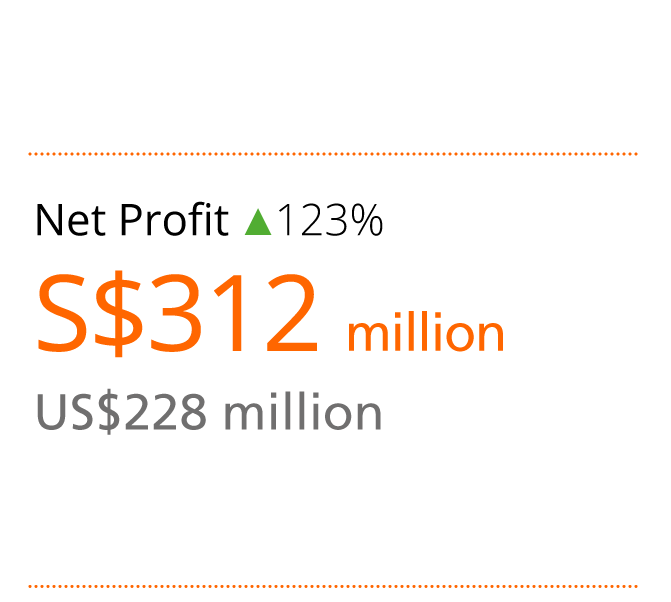 This year, our Utilities business more than doubled its profit to S$312 million, on the back of divestment gains and profit growth from the underlying business. The business has also taken steps to build a mix of capabilities that is highly relevant in today’s market. These include solutions for companies, households and countries across the energy and utilities value chain, with enhanced expertise in areas such as renewable energy, behind-the-meter solutions, flexible and fast-response power, and energy storage. This puts us in a good position to seize the opportunities provided by a changing global energy landscape to innovate and grow our business for the long term. Despite intense competition in the power market, your Singapore operations have continued as a major profit contributor and have achieved several milestones in 2018. Tell us more about your strategy here. It has been an exciting time for our business in Singapore, where the energy and utilities space has gone through a number of changes. As an established player and trusted household name in the country, Sembcorp’s strategy is to go where the market is going, seizing opportunities and expanding our capabilities to maintain our edge over the competition. As part of this, we have been shifting our business closer to the customer. For instance, we now offer distributed power, such as rooftop solar solutions for companies. We have also entered the Open Electricity Market as a power retailer to households. A key focus has been to expand our capabilities to help future-proof our business. The growth of our renewable energy business is a good example. With Singapore ramping up its adoption of solar energy, Sembcorp has built up our team and track record, securing over 120 megawatt peak of projects across more than 1,500 sites. Another case in point is the extension of our capabilities in natural gas. To our well-established piped natural gas business, we have now added liquefied natural gas spot imports. This has allowed us to diversify our gas supply, with more opportunities for optimisation, and to extend our service to a wider range of customers. 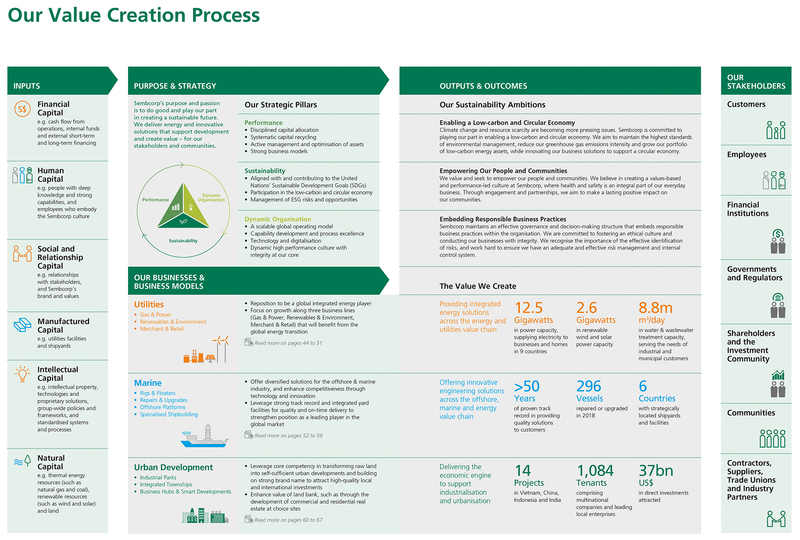 Sembcorp’s strategy is to go where the market is going, seizing opportunities and expanding our capabilities to maintain our edge over the competition. Given the integrated nature of our energy and utilities business in Singapore, there may also be scope to strengthen our value proposition with innovative solutions that promote sustainable resource management. We are keen to explore such opportunities, which could support the country’s progress towards a low-carbon and circular economy. 2018 was a difficult year for Sembcorp Marine. 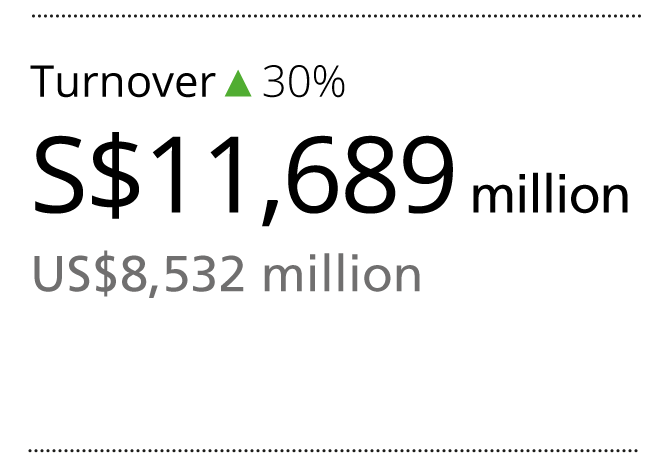 What is your outlook for this business? While the outlook for the oil and gas sector has improved somewhat, in the immediate term, the environment for marine and offshore players continues to be highly challenging. Yard volumes remain significantly below peak levels. Competition remains intense and realistically, it will take time before orders see a sustained recovery. The Marine business has channelled its efforts and investment to areas it views as critical for it to ride out the downturn and strengthen its long-term position. It has diversified to remain relevant in a competitive market. It has retooled, improved its engineering expertise and targeted new customer segments. New capabilities at its Tuas Boulevard Yard have enabled it to take on jobs it could not perform in the past, and stronger engineering abilities have equipped it to offer designs and solutions that can improve customers’ project economics. We believe in the value and capabilities Sembcorp Marine has built up over more than 50 years, and are committed to protecting this value for our shareholders. In addition, the business is committed to managing its cost, including manpower requirements, and optimising its capacity utilisation. From the Group’s perspective, we are taking a long-term view. We recognise that the Marine business and the protracted sectoral downturn it is facing have had an impact on the Group’s performance and balance sheet. But at the end of the day, we believe in the value and capabilities Sembcorp Marine has built up over more than 50 years, and are committed to protecting this value for our shareholders.  Your Urban Development business has come of age and has been contributing well to the Group. Can you talk about its strategy for further growth? Sembcorp’s Urban Development business adds value to host markets and supports their industrialisation plans, with its broad experience in conceptualising and developing large-scale integrated townships and industrial parks. The Urban Development arm’s good performance is also the result of its ability to attract foreign direct investment, which is an important driver of economic growth for developing countries. As Sembcorp’s industrial parks mature and our host markets become more economically advanced, we see more potential for innovation in our projects. For instance, we are now developing high-tech parks and business hubs with enhanced facilities and services to attract high-value investments. This has built up greater breadth in our Urban Development business. We also offer a variety of options for industrial and business space, for lease or sale. As our projects accelerate development locally, communities have sprung up around them. We have been able to participate in the urbanisation of these areas, with selective investments in residential properties that we either develop ourselves or through joint ventures. Over the years, we have also seen growth in our sale of commercial and residential land to third-party developers. Moving forward, we see more potential for synergies between our Urban Development and Utilities businesses, in the provision of advanced energy and utilities solutions. The Urban Development business is in a good position to introduce smart utilities initiatives in its projects such as renewable energy technologies, smart metering and sustainable water management. These could help our integrated developments become sustainable, low-carbon and energy-efficient cities of the future. We would be keen to explore the feasibility of incorporating such solutions into our projects. Can you share more about your philosophy in investing in technology and your efforts to transform Sembcorp into a more digital organisation? Embracing digital technologies is critical if we want to stay ahead of the game. Developments in artificial intelligence (AI), machine learning, cloud computing, the internet of things (IoT), blockchain and robotic process automation, underpinned with cybersecurity, are disrupting most industries, including ours. These technologies are also enabling new business models that offer competitive advantages to early adopters. 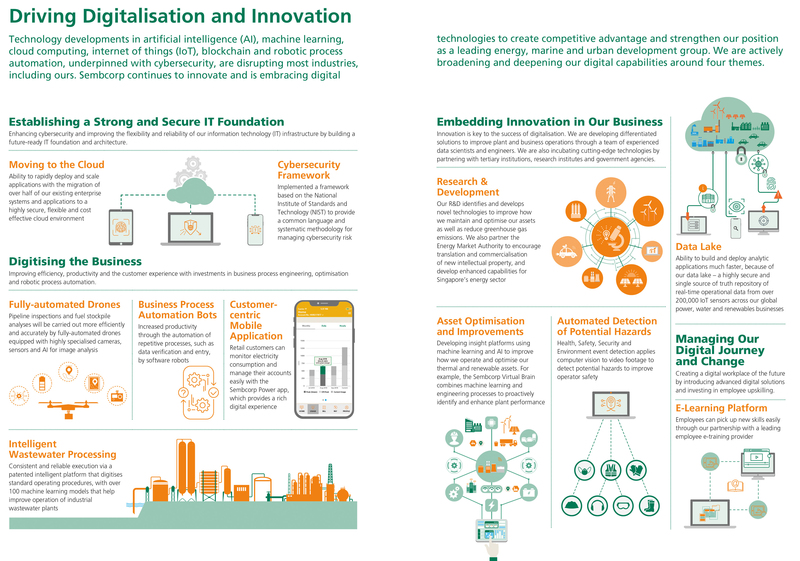 Sembcorp is actively building our digital capabilities around four themes: establishing a strong and secure information technology foundation, digitising our business, embedding innovation, and managing the digital journey and change. For example, we have built insight platforms using machine learning and AI to radically improve how we operate and optimise our thermal and renewable assets. These platforms run on an advanced, secure data lake that has over 200,000 IoT sensors streaming real-time operational data from multiple markets. The majority of our investment in research and development is going towards building intellectual property that will help improve how we maintain and optimise our assets and reduce greenhouse gas emissions in our energy business. For example, we are developing drones and AI to help us maintain our pipelines and equipment – faster and more accurately than the manual checks that are being done today. Some of the initiatives that we are currently driving, such as our work in advanced predictive analytics, are the first of their kind in the energy sector. These could help differentiate us in our industry. Embracing digital technologies is critical if we want to stay ahead of the game. These technologies are enabling new business models that offer competitive advantages to early adopters. Tell us more about your sustainability ambitions, and why these are important for Sembcorp? I have always believed that the best companies must not only aim to do well, but also to do good. In 2018, Sembcorp redefined our aspirations as a Group in terms of three sustainability ambitions. Firstly, we aim to enable a low-carbon and circular economy. Secondly, we aspire to empower our people and communities. Thirdly, we commit to embedding responsible business practices throughout our organisation. These three ambitions underpin our purpose, articulate our priorities, and demonstrate how we seek to create value within our business, and for society. Committing to these sustainability ambitions makes good business sense for Sembcorp. Aligning our goals, activities and services to the needs of society means that we stay relevant. Tightening our management of risks and opportunities on the environmental, social and governance front also puts us in a better position to protect and enhance value for our stakeholders and succeed long-term as a Group. This is not only the right thing to do for our company, but also for our world. By 2030, the global population will surpass 8.5 billion. Seven out of every 10 people will live in cities. Demand for energy and water, sustainable infrastructure and environmental solutions will soar, even as climate change and weather disruptions exert greater pressure on our societies and resources. Countries, companies, communities and individuals must take urgent action today to prepare for this eventuality. Sembcorp is playing our part. We want to be part of the solution, and help secure our collective future. This is part of how we are actively embracing change and enabling a sustainable tomorrow for our company, and for the world. We are repositioning for success in a rapidly changing world, building strong businesses that create value for our stakeholders and support a sustainable future. As markets shift, industries transform and technology disrupts, we are reimagining how solutions should be created and delivered to our customers. Sembcorp aims to play our part in creating a sustainable future. Our purpose is to not only do well, but also do good. 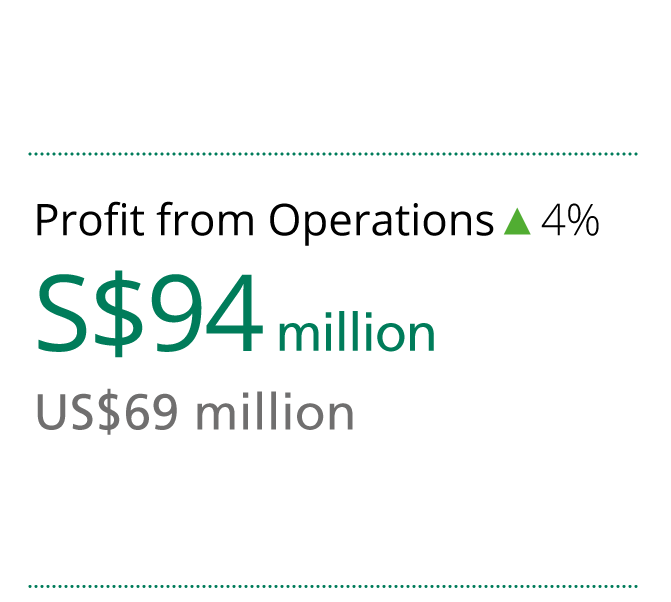 Sembcorp posted net profit of S$347 million and turnover of S$11,689 million in 2018, compared to S$383 million and S$9,026 million respectively in 2017. The Utilities business delivered a strong set of results despite a challenging market environment. Most notably, our India operations turned around to profitability, underpinned by better performance from our thermal business. 2018 was a challenging year for the Marine business. Despite the moderate uptrend in offshore rig utilisation and increased day rates for most segments, competition remained intense and work volume was significantly below peak levels. In 2018, the Urban Development business achieved record profits. 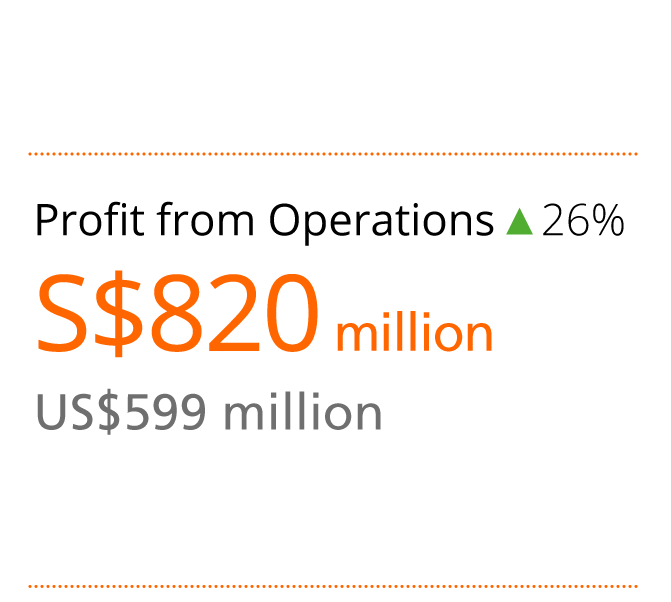 Profit from operations grew to S$94 million from S$90 million, while net profit increased to S$86 million from S$83 million, with steady contributions from Vietnam and China. Sembcorp has long held a strong commitment to sustainability. We believe that responsible corporates can play a role as agents of transformation for a sustainable future. We see sustainability at our company as inextricably linked to our ability to deliver long-term value and growth to all our stakeholders. Sembcorp’s corporate governance principles are built on integrity and reflect our commitment to enhance shareholder value. Sembcorp is committed to ensuring that all capital market players have easy access to clear, reliable and meaningful information on our company in order to make informed investment decisions.